PodcastOne: Ryan Dempster or Harry Caray? Ryan Dempster or Harry Caray? Former pitcher and future late night talk show host Ryan Dempster is truly one-of-a-kind. From his spot-on impressions to his epic stories of hitting A-Rod and walking away from over 13 million dollars. Scott and Kelly also lay down the law on the champagne celebration haters. 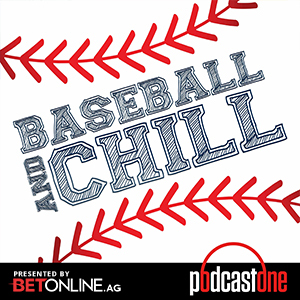 Head over to BetOnline.AG and use promo code PODCAST1 to receive a 50% sign up bonus. Pirates closer Felipe Vazquez goes hard at anything he does. For example, his role as team DJ goes well beyond just plugging his phone into a speaker. His sister abides by the same mentality as her brother's agent. Scott and Kelly also ask him all about what it was like to be in the first major benches-clearing scuffle of the season. Create a free account on BetOnline.AG and receive a 50% SIGN UP BONUS just by using the promo code PODCASTONE Download the CBS Sports App on your phone, Fire TV, Roku or Apple TV to start watching CBS Sports HQ TODAY! This episode goes beyond baseball and addresses the reality of mental health. White Sox phenom prospect Michael Kopech takes you down his journey of soul searching after finding out he needed Tommy John surgery. He will leave you speechless and inspired as he shares his story of hitting what he calls "rock bottom." Create a free account on BetOnline.AG and receive a 50% SIGN UP BONUS just by using the promo code PODCASTONE Download the CBS Sports App on your phone, Fire TV, Roku or Apple TV to start watching CBS Sports HQ TODAY! Sean Casey is called "The Mayor" for a reason. Nicer than nice and he lights up a room. He has the stories to go along with the personality, like the first and last time he borrowed Ken Griffey Jr's hair clippers. Sean, Scott and Kelly also talk through Bryce Harper's return to Washington: To cheer or to boo? Hmmmm.... Create a free account on BetOnline.AG and receive a 50% SIGN UP BONUS just by using the promo code PODCASTONE Download the CBS Sports App on your phone, Fire TV, Roku or Apple TV to start watching CBS Sports HQ TODAY! Use the code POD25 at Yahoo.com/DailyFantasy or download the Yahoo Fantasy App for $25 in FREE PLAY! Happy Opening Week, baseball fans! Let's kick off the 2019 season with Luke Weaver, who the Diamondbacks acquired in the deal that sent Paul Goldschmidt to the Cardinals. Weaver paints the picture of Opening Day from a player's perspective and looks back at what it was like to be traded in the offseason. Also, Scott and Kelly break down the epic Mike Trout contract extension. Create a free account on BetOnline.AG and receive a 50% SIGN UP BONUS just by using the promo code PODCASTONE Download the CBS Sports App on your phone, Fire TV, Roku or Apple TV to start watching CBS Sports HQ TODAY! Use the code POD25 at Yahoo.com/DailyFantasy or download the Yahoo Fantasy App for $25 in FREE PLAY!